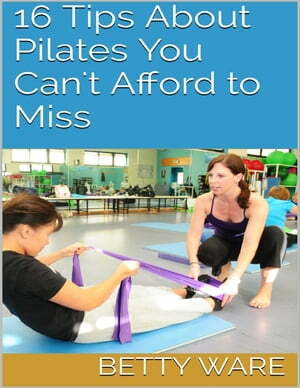 Collins Booksellers - 16 Tips About Pilates You Can't Afford to Miss by Betty Ware, 9781329743724. Buy this book online. If you are new to Pilates, you may not realize that it is one of the fastest growing forms of exercise in the world today. In the U.S., the numbers have reached an astonishing 10.6 million participants. The practice of Pilates is spreading around the world. The Pilates method was developed from the rehabilitation techniques of Joseph Pilates. Discover everything you need to know by grabbing a copy of this ebook today.